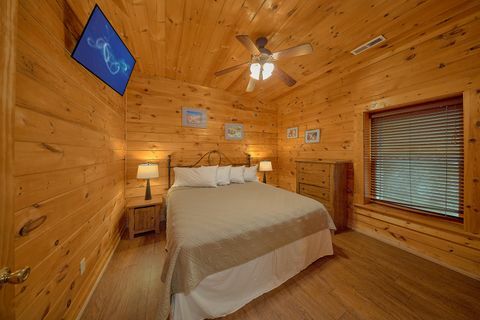 "Bear Shack," located in Mountain Park Resort in Pigeon Forge, places guests less than a mile off the Pigeon Forge Parkway. 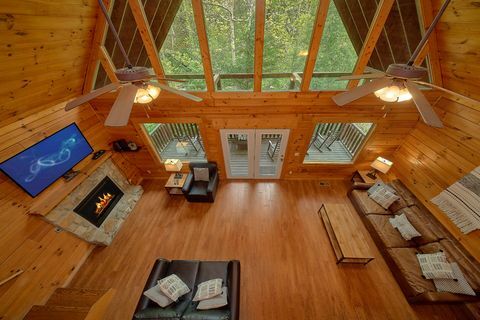 You and your friends and family can enjoy all the attractions with ease from your comfortable 5-bedroom cabin in Pigeon Forge! 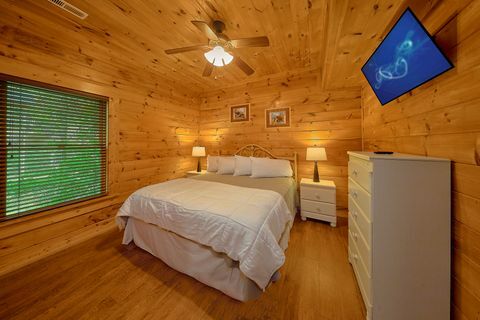 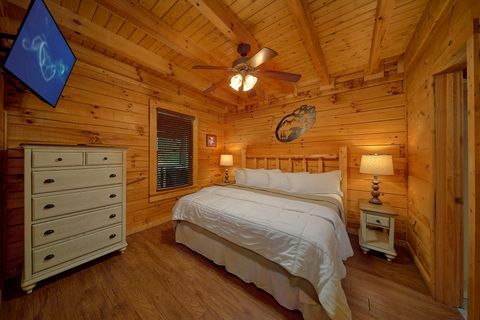 "Bear Shack" offers vacationers a Pigeon Forge cabin with a welcoming, country atmosphere and access to Mountain Park Resort Pigeon Forge's swimming pool during the summer months. 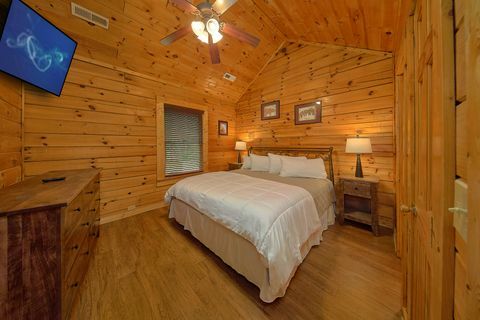 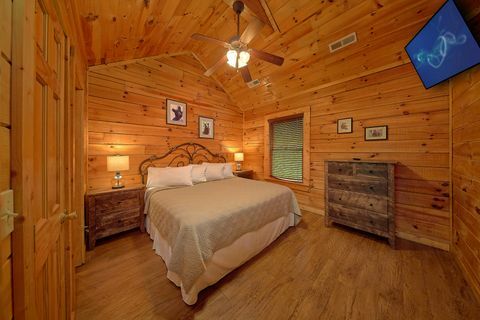 Accommodating up to 12 guests, "Bear Shack" provides 5 spacious king suites that each contain their own television for snuggling under the covers and watching a good movie. 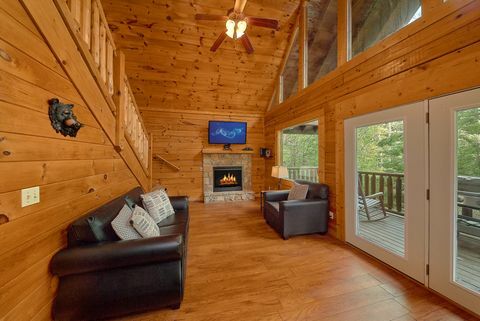 The living room's electric fireplace is the perfect place to gather around with cups of cocoa in front of the warm glow of a fire during the winter. 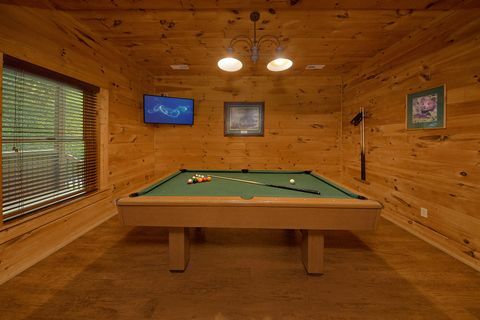 The game room with full-size pool table gives friends and family an opportunity to enjoy some friendly competition. 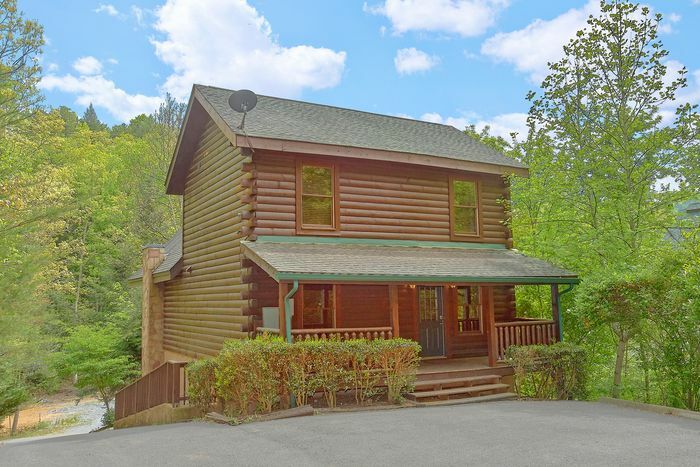 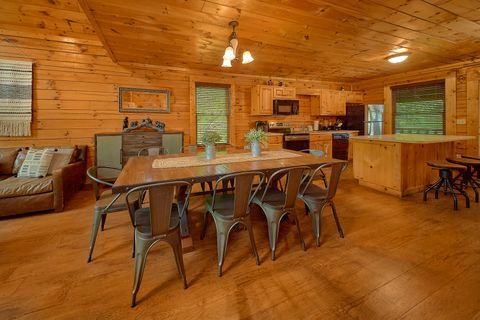 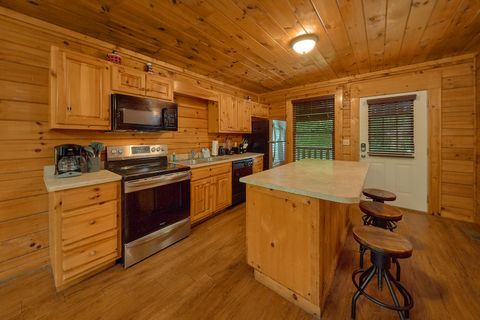 Save vacation dollars and maximize quality time with family and friends with meals cooked from this Pigeon Forge cabin's fully equipped kitchen or hot off the charcoal grill. 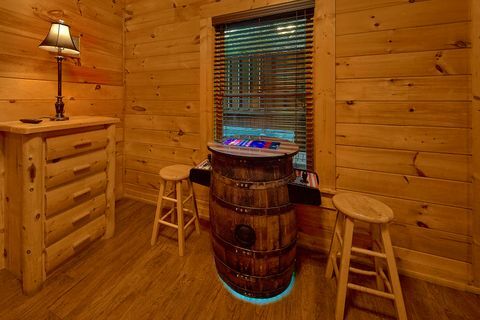 Also, travelers won't need to pack as much with this cabin's washer/dryer. 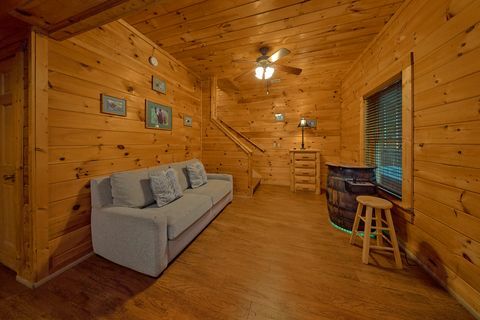 This cabin also offers WIFI internet for selfies and streaming. 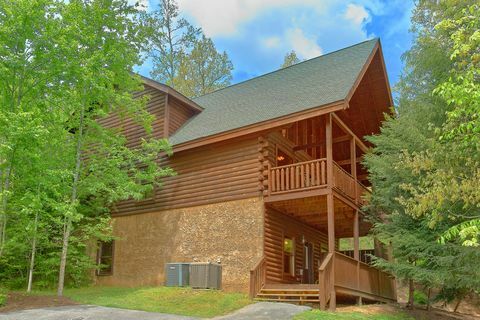 This resort cabin in Pigeon Forge is the perfect lodging for large families, family reunions, or church retreats. Bring the group for endless fun and adventure in the Tennessee Great Smoky Mountains, book your Mountain Park Resort cabin in Pigeon Forge online with Cabins USA Gatlinburg for immediate Online Savings!